Our economy is much maligned for its focus on growth via consumerism. It fails to take into account the cost to society and the environment. A lab without beakers is studying the societal cost in today’s top story and I’ve included a link to another story on the Nobel prize in economics for more on how to value the impacts of climate change. In other news, there is much talk about the role reforestation and afforestation, and ending deforestation will impact our ability to limit the rise in planetary temperature; one article maps afforestation while another talks about the impacts of the wrong type of afforestation. An on our food systems, pushing planetary boundaries; qualifications around how much less meat we need to eat; and a suggestion that we should label food with its environmental impact. One of the biggest hubs of real-time climate research is a lab hundreds of miles from the rising seas and melting ice caps. There are no test tubes or beakers. Instead young scientists and economists hunch over computers analyzing the newest data. A group of them are currently reviewing a study that considers whether crime levels are connected to monsoon seasons. The findings are a tiny part of a big question: how much is climate change costing society, and who’s paying? AUSTRALIA – Leading climate researchers have overwhelmingly rejected the federal government’s claim it is on track to cut greenhouse gas emissions target as promised under the 2015 Paris agreement. Guardian Australia asked economists and scientists, including people who have advised the Coalition and Labor, whether Australia was likely to meet the 2030 target of a 26-28% emissions cut below 2005 levels under existing policy settings, as cabinet ministers have claimed. If you think you don’t have viruses, think again. It may be hard to fathom, but the human body is occupied by large collections of microorganisms, commonly referred to as our microbiome, that have evolved with us since the early days of man. Scientists have only recently begun to quantify the microbiome, and discovered it is inhabited by at least 38 trillion bacteria. More intriguing, perhaps, is that bacteria are not the most abundant microbes that live in and on our bodies. That award goes to viruses. A key finding of the Intergovernmental Panel on Climate Change’s (IPCC) new special report is that it is likely that some degree of “afforestation” will be needed to limit global warming to 1.5C above pre-industrial levels. Here, Carbon Brief pinpoints the countries that invested the most into afforestation from 1990-2015. The article also looks at what regions have been earmarked for new forests in the future and to what extent afforestation could be used to limit global warming to 1.5C. We all love trees. We think of woods and forests as green lungs, peaceful spaces, brimming with wildlife. So when Europe’s least forested country, Ireland, sets a target to increase tree cover from 11% to 18% by 2046, we should all applaud, shouldn’t we? Unfortunately the new woodland rising across Ireland is an ecological dead zone. Sitka spruce plantations, hectare upon hectare of them, now cover what was once nature-rich farmland. AUSTRALIA – A $261 million Queensland Government water quality program is failing to protect the Great Barrier Reef from fertiliser run-off, with sugar cane farmers still using excessive chemicals on their properties, Right to Information (RTI) documents obtained by the ABC reveal. INDIA – Bangalore is home to some ten million people. It might also be the next city to experience “day zero”: when it runs out of ground water entirely. But in settlements just outside the city centre, people already live without municipal water supplies. Our research found that families – largely women – must piece together drinking, cooking and washing water through a mixture of limited tap supply, communally bought canned water, and “water ATMs”. It takes enormous time, energy and money to negotiate these water markets. 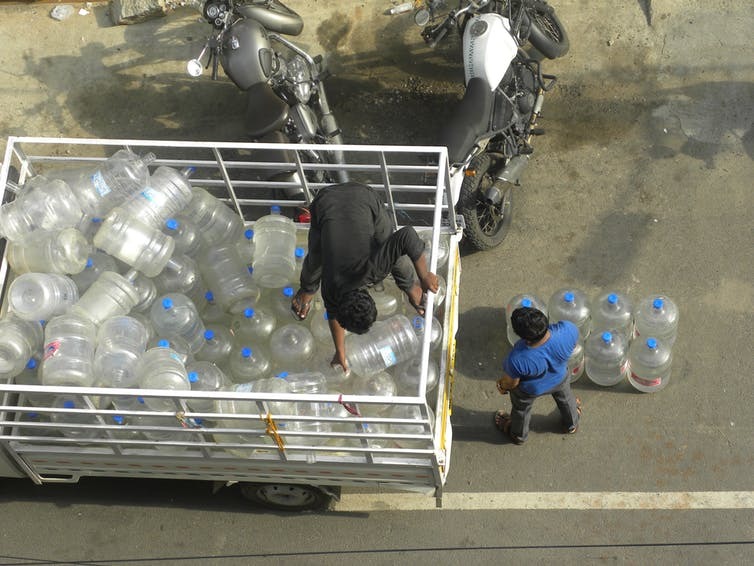 Bangalore offers a glimpse of a possible future, as more cities around the world approach “day zero”. One of the most comprehensive studies of the state of banking and markets since the financial crisis warns that “dangerous undercurrents” are a rising threat to the world economy. The International Monetary Fund’s Financial Stability Report says that although banks are far safer than they were in 2008 there are new risks. Trade tensions were growing, the IMF said, and inequality had risen. Further moves towards a trade war could “significantly harm global growth”. AUSTRALIA – An official United Nations grouping of 47 of the world’s poorest countries has urged Australia to “honour its international commitments” after the prime minister, Scott Morrison, said the country would not be “throwing money” into a key international climate change fund. Australia has previously pledged $200m to the Green Climate Fund (GCF), set up through the UN’s climate convention to help developing countries adapt to the impacts of climate change and cut their own greenhouse gas emissions. In a new working paper, WRI sheds light on factors that can help turn adaptation commitments into tangible steps to build climate change resilience. Because the mainstreaming of adaptation into development requires coordination among multiple actors, institutions and processes, the journey from a plan on paper to action on the ground can be slow. A comprehensive review of over 100 cases in developing and developed countries confirmed the persistence of an implementation gap, which can prevent mainstreaming plans and policies from coming into fruition. Hampered by institutional bottlenecks like lack of capacity, coordination and resources, practitioners are often unable to mobilize the sustained commitment that is needed to build climate resilience within communities and environments that need to focus on adaptation now. The UK’s obligations in response to this week’s warnings from the UN over global warming will be controversial and politically fraught, taking the country into “uncharted territory” and testing the political consensus on climate change, the its top climate adviser has warned. The government will have to regulate industry and intervene in the market in ways that will prove controversial in parliament, predicted Chris Stark, chief executive of the Committee on Climate Change (CCC). CANADA – When Justin Trudeau swept into power in 2015, he pledged to make fighting climate change a top priority for his government. Three years later, Canada’s prime minister is on the defensive, scrambling to both revive his party’s unravelling climate strategy as a growing number of provinces refuse to participate in national carbon tax – and to temper frustrations over his government’s continued investment in the fossil fuel industry. AUSTRALIA – Media outlets today reported on leaked extracts of the much-awaited religious freedom inquiry report, which has yet to be released by the federal government. The leaked recommendations give us a clear snapshot into what the review means for religious freedom and LGBT+ rights in Australia. Despite much commentary to the contrary, the recommendations actually constrain rather than expand federal religious exemptions to LGBT+ protections. AUSTRALIA – Australians from culturally diverse backgrounds often feel frustrated about media coverage of news events and issues that portray them in a negative light. A new study analysing media coverage of issues related to multicultural Australia found that more than a third of stories reflected a negative view of minority communities. AUSTRALIA – Adani has been given the green light to increase its north Queensland coal exports by 20 per cent, meaning about 60 million tonnes of the resource could be transferred through its Abbot Point terminal each year. NEW ZEALAND – A growing population and persistent addiction to cars has continued to pollute Auckland’s air. Researchers behind Auckland Council’s inventory of air pollution identified a marked reduction in pollutants, however in the latest data analysis the city is still falling behind targets set in 2012. Council air quality scientist Shanju Xie said the rising number of cars on the road had made the targeted 50 per cent reduction of certain air pollutants too difficult to achieve. The global food system has a lot to answer for. It is a major driver of climate change, thanks to everything from deforestation to cows burping. 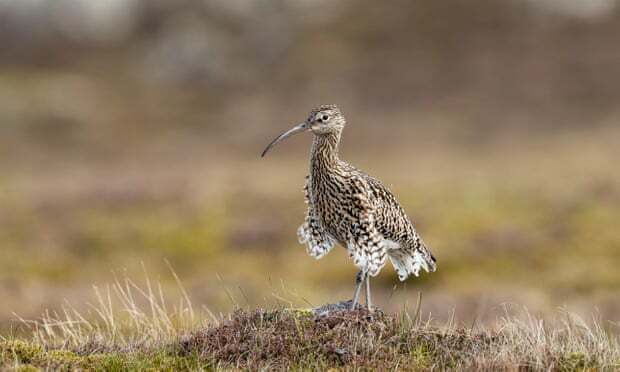 Food production also transforms biodiverse landscapes into fields inhabited by a single crop or animal. It depletes valuable freshwater resources, and even pollutes ecosystems when fertilisers and manure washed into streams and rivers. The planet can only take so much of this stress. 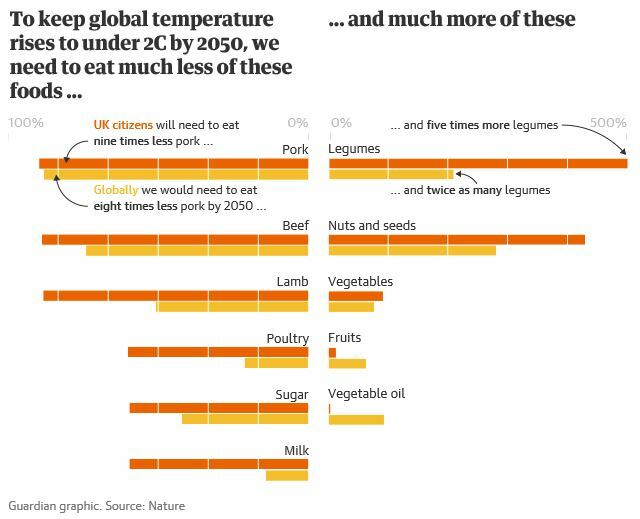 Staying within its environmental limits will require a global shift towards healthy and more plant-based diets, halving food loss and waste, and improving farming practices and technologies. That’s what a team of international researchers and I found in a new study published in the journal Nature. If you buy a washing machine, a fridge or a television in Europe, it comes with a sticker. Thanks to a 1992 EU directive, all appliances must be labelled with their energy efficiency. 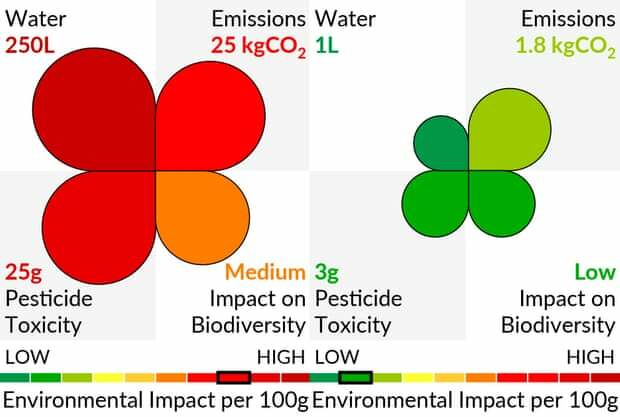 So why has our food system – which threatens 10,000 species with extinction, emits about 30% of greenhouse gases, and drives 80% of our nitrogen and phosphorus pollution – only ever had voluntary ecolabels?